You may have heard of my previous company – appear.in make an award-winning video conferencing app known by the same name. It’s another Nordic success story. As one of the first batch of employees at appear.in, I worked on every surface of the code base, except for the native mobile clients. I did, however, spend the greatest chunk of my time focusing on the front-end, and I’m probably more experienced and comfortable with CSS than any other language. 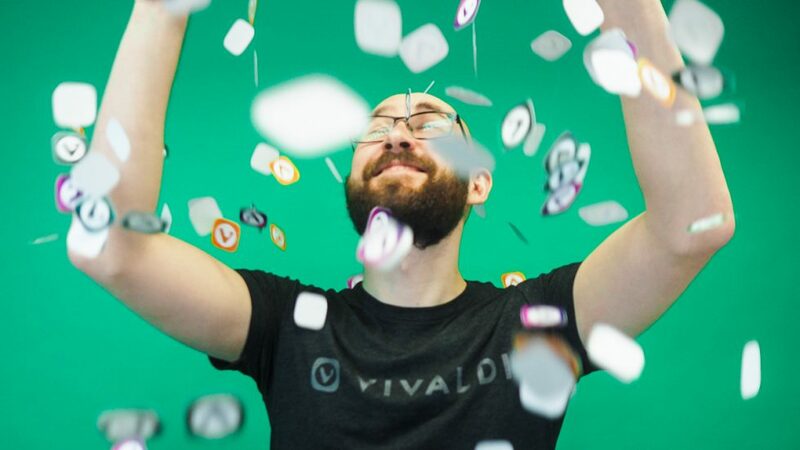 I started at Vivaldi six months ago. When I first tried the browser, one thing stood out right away: customization. While you can customize most browsers at least a little bit, no browser matches what you can do with Vivaldi out of the box. It’s quick and easy to make the browser feel _yours_. One of the features that grabbed me right away was the ability to install a web page to the sidebar, what we call Web Panels. These days I use that as one of my main ways of consuming Twitter. Since starting at Vivaldi, I also discovered Quick Commands, a feature that I still don’t use to anywhere its full potential. It’s a powerful universal search box that is a game-changer. Before switching to Vivaldi, I used Chrome as my development browser and Firefox as my personal browser. Syncing between my devices has always been very important to me, but wasn’t something that was possible in Vivaldi until relatively recently. Once Sync was implemented, I haven’t looked back. I still use a variety of browsers alongside Vivaldi to keep up with what is happening in the browser world. Professionally, I need to keep an eye on browsers that are created with other areas of focus than Vivaldi. Vivaldi users are our inspiration for what we do day in and day out and I’d like to think that you’ve already seen the effects of what I’ve been working on since joining – improving performance by updating the older bits of code. In particular, my focus has been on improving the download panel and the URL input field. Performance is key in any browser and it’s something we’ve taken to heart at Vivaldi. There are other things I’ve got my sights set on. As much as I like our Web Panels, I feel that they are a bit underutilized. These days progressive web apps are gaining traction, and quite a few companies are making sure that their web apps work well on mobile. That’s a golden opportunity for Vivaldi’s Web Panels. Try loading Instagram in a Web Panel (make sure you’re showing the Mobile version) and you’ll find that you’re getting a near-full version of this primarily mobile app, with more features than if you were to load it in the browser. Does Vivaldi’s feature set sound intriguing to you? If you still haven’t done that, take the browser for a spin! It might just grow on you as it did on me. And tell me in the comments what you’d like me to focus on in the next six months!